The welcome was the most friendly we have ever had, the place was spotless, pool cleaned twice a day and apartment services every day, all staff were friendly and very help full and Maria was amazing. Breakfast which we can choose on the eve is served in our room. Fantastic. But the highlights are Maria and Dimitris. They have made our stay so much more pleasurable. It is about the people not the bricks. Our host Maria was so friendly and helpful, she really couldn't have done anything more to ensure we enjoyed out stay in Santorini, even recommending places to see and restaurants. The accomodation was beautiful with and amazing view. We really enjoyed the privacy of watching the sunset from our balcony. The hosts were helpful and friendly, the location was perfect with stunning views from the balcony and breakfast options were decent. Plenty of nice eating options are available within a walking distance from the property. The interiors have been done tastefully. Staff provided breakfast to our room promptly every morning and gave wonderful tips for our stay. Excellent service by Maria,very,very supportive and very welcoming.All staff very friendly and professional. A brilliant location-quiet and with stunning views yet close to the centre of Fira. A lovely apartment and an excellent breakfast which was included.A cosy balcony with private spa. 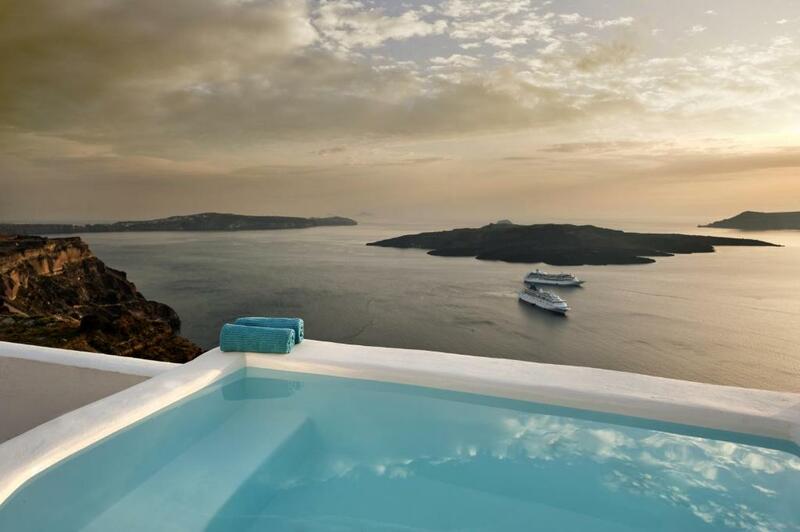 The view is absolutely stupendous! !Watch the sunset every night. The welcoming and helpful staff and general ambience at the Kamares apartments are to be commended. 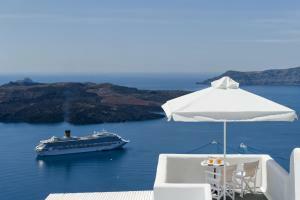 The views are amazing and its location in Fira is extremely convenient. It was also great to have a car park adjacent to the apartment complex. Lock in a great price for Kamares Apartments - rated 9.4 by recent guests. 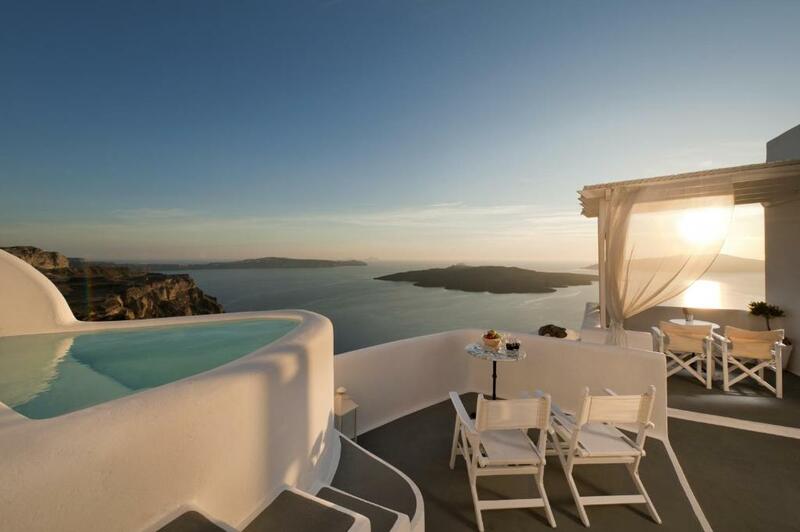 One of our top picks in Fira.The Cycladic-style Kamares Apartments offers elegant apartments with views over the Caldera, the volcano and the sunset. 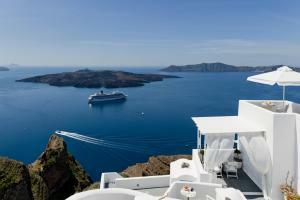 They are situated in the breathtaking cliff of Fira, in Santorini. The whitewashed apartments include a fully equipped kitchenette with fridge. Each is equipped with air conditioning and a satellite TV. Apartments have either a spa bath or shower, while some also have an outdoor hot tub. The privileged location of Kamares allows for views of the Aegean Sea, the volcano, the Island of Thirasia and the famous sunset of Santorini. Staff and owners are at your disposal throughout your stay. This property also has one of the best-rated locations in Fira! Guests are happier about it compared to other properties in the area. Kamares Apartments has been welcoming Booking.com guests since 12 Feb 2010. When would you like to stay at Kamares Apartments? 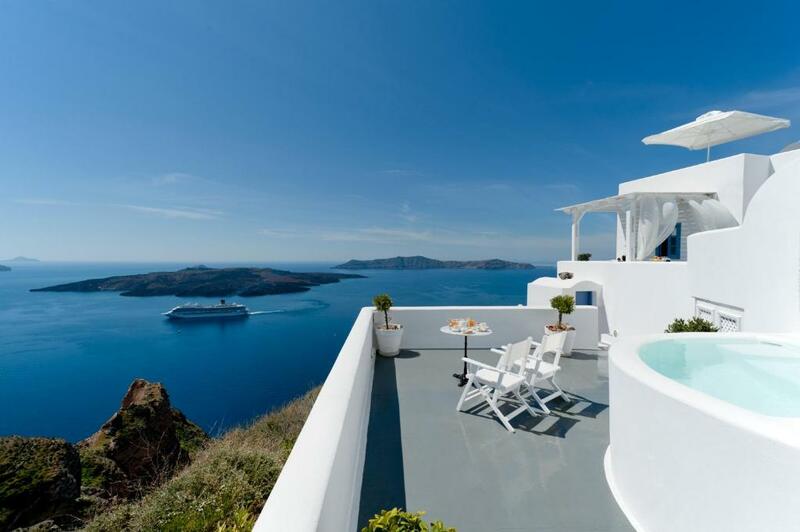 Spacious apartment with terrace with open-air hot tub. Please note that this room type is accessed via an outdoor corridor. 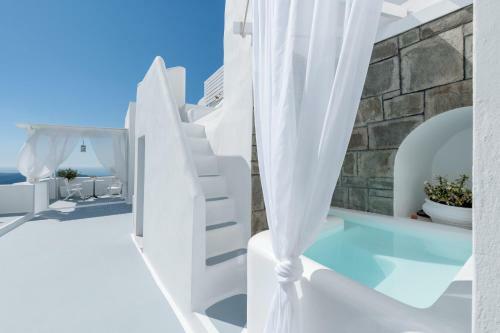 Spacious apartment with spa bath and an outdoor hot tub. 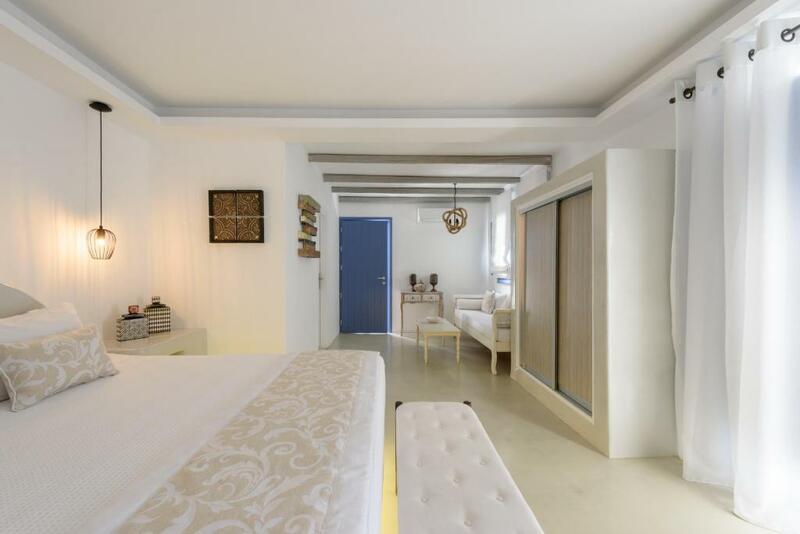 Please note that this room type can accommodate a double bed and a sofa bed or 3 single beds. Spacious apartment featuring a spa bath and an outdoor hot tub. This apartment features an outdoor hot tub and opens to a balcony with sea views. 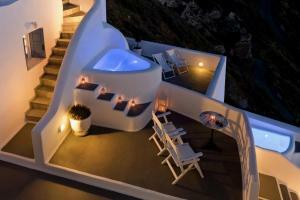 This double room has air conditioning, balcony with Caldera view and bathrobe. Please also note that this room type does not offer an outdoor hot tub. This suite features a bathrobe, air conditioning and satellite TV. House rules Kamares Apartments takes special requests - add in the next step! All further older children or adults are charged EUR 40 per night for extra beds. Kamares Apartments accepts these cards and reserves the right to temporarily hold an amount prior to arrival. Please inform Kamares Apartments in advance of your expected arrival time. You can use the Special Requests box when booking, or contact the property directly with the contact details provided in your confirmation. Lac of plug points and tv is very small. Room was cold, air con heating not adequate, breakfast was disappointing, full English breakfast not available only Continental option. breakfast and the location are great! There’s nothing to be disliked. The “hot”’tub outside cannot be called a hot tub when the water is just barely warm. Also, the hot tub jets went off every couple of minutes. Could have been much more enjoyable if these two things were fixed. It was very clean and peaceful. Great view of the volcano and the sunset! We were received very well from Maria and the other staff members.